Manufactured to BS EN ISO 22476-3, consisting of top adaptor, pair of split spoons and cutting shoe. 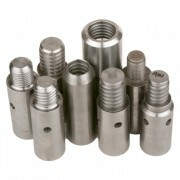 The top adaptor contains a ball valve held in place by a threaded brass bush. The standard thread connection on the top is 11/2″ BSW or BW rod but any other thread can be incorporated. The split spoon is manufactured from high tensile alloy steel tube. The cutting shoe is specially case-hardened and tem¬pered to give the optimum wear resistance. 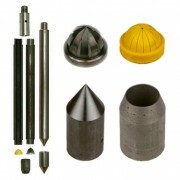 Manufactured to BS EN ISO 22476-3, consisting of top adaptor, pair of split spoons and cutting shoe. The top adaptor contains a ball valve held in place by a threaded brass bush. The standard thread connection on the top is 11/2″ BSW or BW rod but any other thread can be incorporated. The split spoon is manufactured from high tensile alloy steel tube. The cutting shoe is specially case-hardened and tempered to give the optimum wear resistance. Amendment 2 (Amd. No. 17229, 31 July 2007) this is no longer the case. consider the comments in this paper. 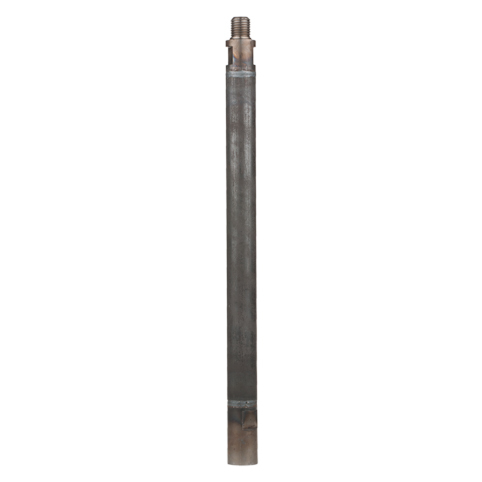 The standard SPT split tube assembly is 2″ (50.8 mm) O.D. x 13/8″ (34.9 mm) I.D. and the length of split tube is 24″ (610 mm). 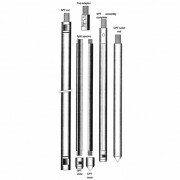 Other diameters and lengths, if required, are manufactured to order. Split tube samples can also be manufactured to order with stainless steel liners or made entirely from stainless steel tube. 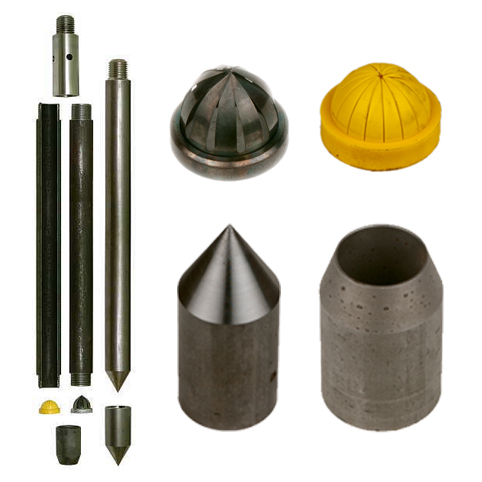 Also available as illustrated is 60 degree solid nose cone for cone penetration test (CPT) and long solid CPT rod. 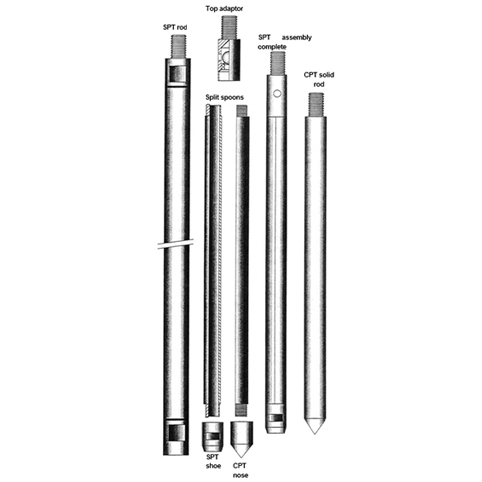 A purpose-manufactured drive rod is available for SPT sampler. 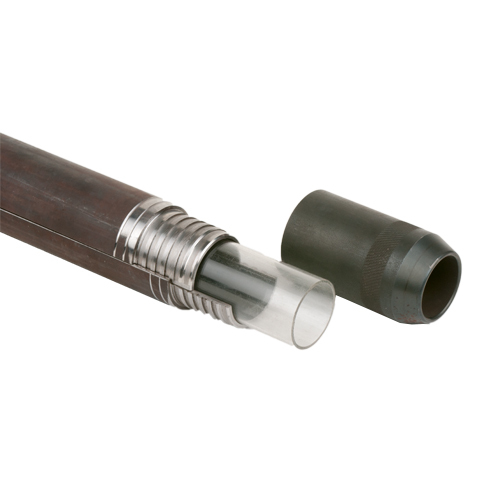 The rod is manufactured from a thin, but high tensile, tubular section 54 mm O.D. with solid 11/2″ BSW male and female tool joints shrink welded to each end. 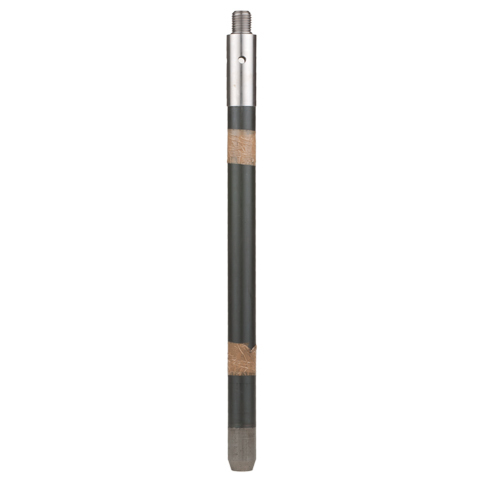 The rod weighs only 8.8 kg per metre but is both stronger and stiffer than the BW rod (BS 4019), which can be used as an alternative drive rod for the standard penetration test. The rods are available in standard lengths of 3.0m, 1.5m and 0.75 m.